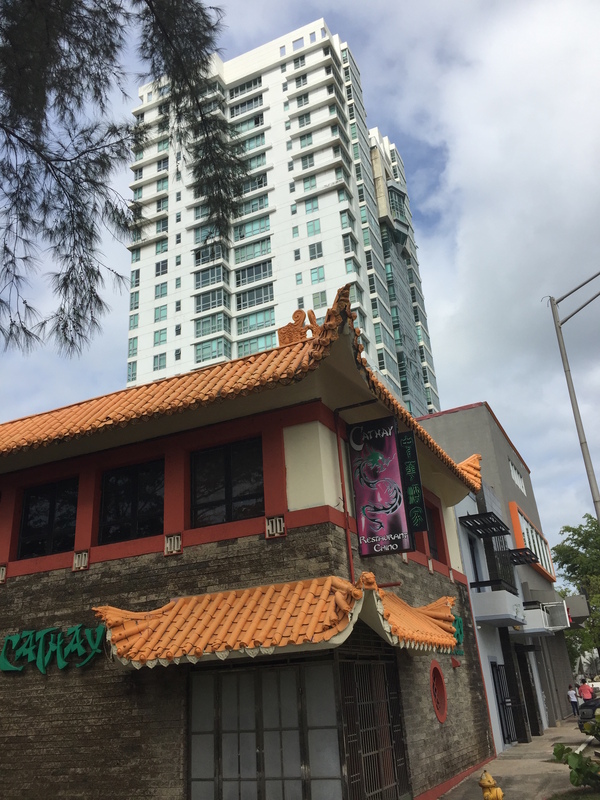 Will the Chinese Restaurant Rule apply to San Juan? BTW - this is not the same restaurant mentioned in the story... but I plan to stop by and see if they are equally optimistic. photo by A.I. One of the first 'rules of thumb' I learned when investing in New York City property in the early 1980's was the 'Chinese Restaurant Rule' of real estate trends. In the early 1980's New York was in much worse shape then Puerto Rico is today. People were fleeing the city by the tens of thousands, owners were walking away from properties, entire blocks seemed like war zones as 'worthless' buildings burned for insurance value. A Federal Control Board was in place and it seemed like New York was a doomed city. Of course - amidst the confusion and sense of hopelessness there was great investment potential - but where to look amongst the ruins of a fading, crippled, city? My first rule was - if everything in the world goes wrong, can I live there? This is a pretty easy rule - find a building with good structure, location and near transportation. But the most important rule was to find a neighborhood that would gentrify and improve - both for living (if necessary) and return on investment. I had lived in every bad neighborhood in NYC before it gentrified, so there was one undeniable trend that signaled a market bottom. Even with the economic and political challenges in Puerto Rico - it is not nearly as bad as NYC when they hit bottom. I had pretty much set this NYC rule to the side now that I'm in Puerto Rico... so it was a pleasant surprise when I stumbled onto a modified version of it last week. After a long day of showing condos to stateside investors, I stopped at a nearby Chinese take-out place so I could grab some orange chicken and head back to the office for a late night of work. When I got to the register to order - the owner greeted me with 'You're Real Estate Man'. I said yes - but how did he know? He said that he had seen me a few weeks before, showing another group of stateside investors some fantastic commercial properties just across the street from the restaurant. He said 'Smart Investors - did they buy?' We then talked for about 15 minutes before he would take my order - since he was so positive about the potential of his neighborhood. His restaurant had been there for decades - but he rented... and now was the time to buy! His bottom line was 'Your clients have 2 years to buy - then its over - no more good deals'. While there is no way to pick a market bottom or predict the future - its nice to see that a long-time local business has such a positive view of their own area and are optimistic about the future of real estate in Puerto Rico!